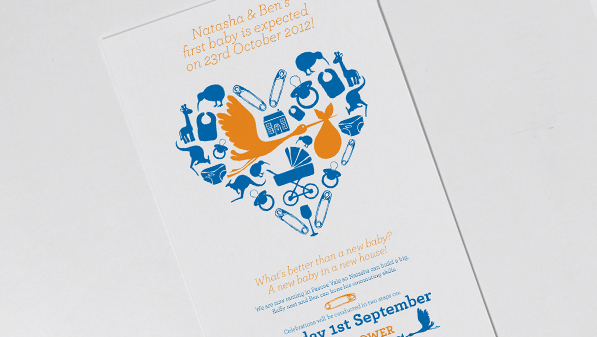 Commissioned to create a contemporary dual baby shower & housewarming invitation, this was a quirky fun design to produce. The clear hierarchy of information is reinforced with iconic visuals of baby and homely references, including the Stork delivering the baby, and the 80’s Playskool house. 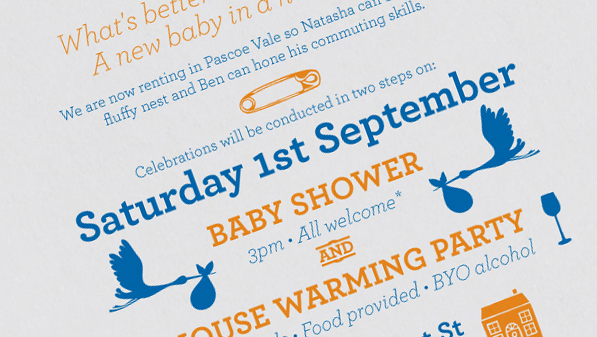 This entry was posted on August 27, 2012 by studiopossum in Graphic Design and tagged baby, baby shower, graphic design, invitation, studiopossum.